Is National Scrapbooking Day (NSD) in the US on 03 May 2014 and it means more sale! I know Custom Crops will have a sale too like last year with some big discount. Anxiously, I wait for the newsletter announcing the sale and it came on 03 May 2014. But the discount start from 25% to 45%, a 5% decrease from 2013 NSD sale. Nevertheless, I still seek a peek at my favorite brands if I can get a great bargain on this sale. As usual, my first priority is to Lawn Fawn products. I browse through the products and sorting the price from low to high. Those 12x12 pattern papers come into view first but did not interest me as usual. 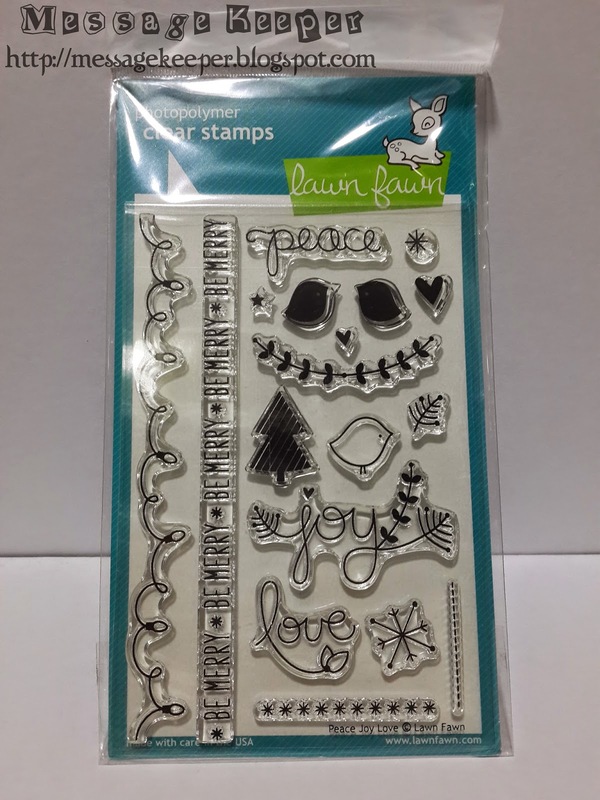 I skip them and my eyes landed on Lawn Fawn Peace Joy Love stamp set which is at the price of less than USD$9! Upon seeing that price, without any hesitation, I just add that stamp set into my cart. I seldom buy Christmas stamp set as I have a few that I think is good enough for me to survive for the season. But Lawn Fawn Peace Joy Love stamp set has lots of stamps that you can build those season cards! Thanks goodness it was this cheap which enable me to own it! Then, I browse through the rest of Lawn Fawn products but nothing else that interest me - pricing wise. So, I move on to other brands that I have interest in and finally landed on Paper Smooches products. Well, well, well. The entire Paper Smooches products was on 25% off! Usually Custom Crops will have up to maximum of 15% discount on Paper Smooches products and with this new discount, it was a great saving for me! So, I weighted my choices on the Paper Smooches products as I have limited budget. 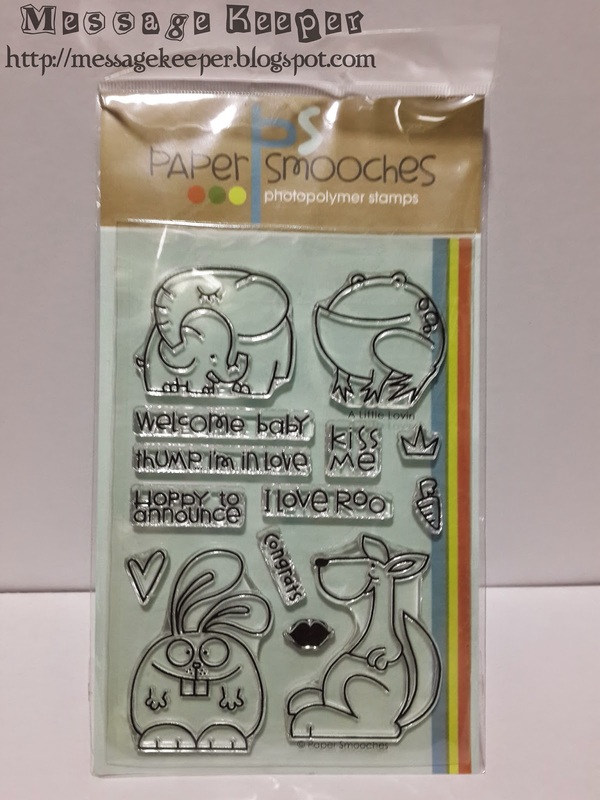 Finally, I settled for Paper Smooches A Little Lovin' stamp set. I love this set so much as there are many cute images on this set especially the elephant mother and her baby. I see a lot of usage on that image either for welcoming newborn or sending hugs and kisses. 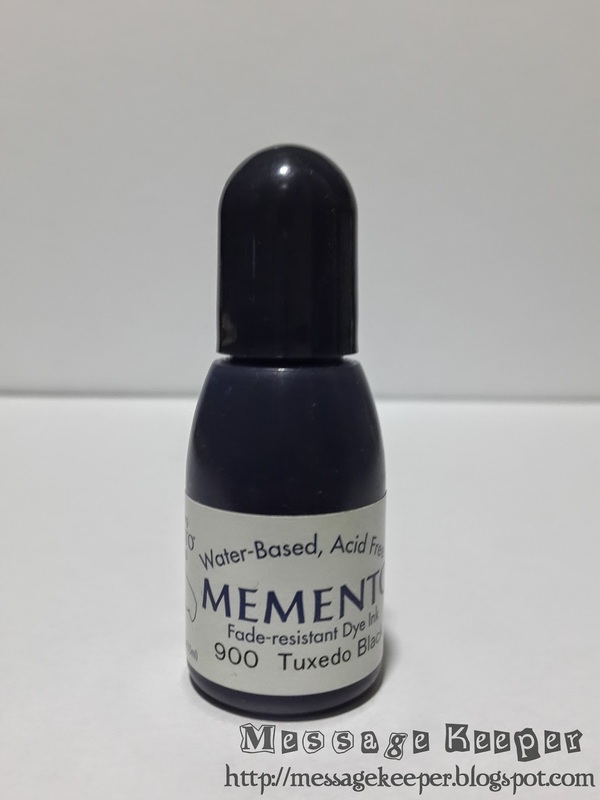 As there still some 'room' in my budget, I have included Tsukineko Memento Dye Reinkers - Tuxedo Black to my order. Recently, I feel that my Tsukineko Memento Dye ink pad is not that 'juicy' anymore. Thus, I think it is time for me to refill the ink inside the ink pad. I made my payment on the same day as the sale was last till midnight. Then, after about six (6) days later, an e-mail shipping notification came to acknowledge that my parcel has been shipped. Almost two weeks later, today, my parcel finally arrived! 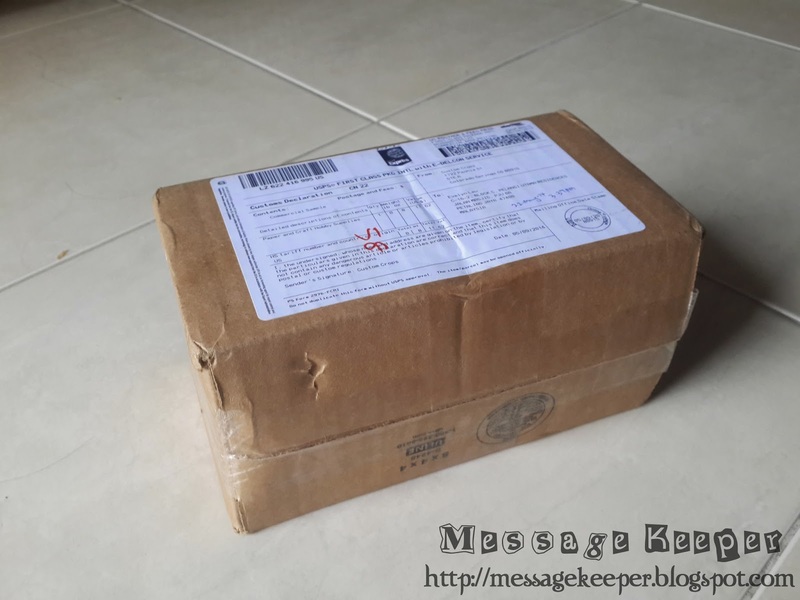 I am lucky that I am at home today to receive the parcel as usually I expect the postman drop it to my mailbox. But this time, Custom Crops sent me a small box instead - a 8" (W) x 4" (H) x 4" (D) box. I was curious as why it is so and quickly open up the box. It is because I ordered that Tsukineko Memento Dye Reinkers - Tuxedo Black which cannot be included in a padded envelope! Hope I get to play with these new stamp sets soon!